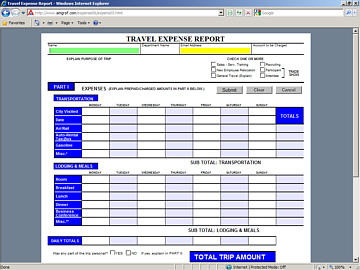 On this page are links to several self-guided software demonstrations. These will enable you to learn more about how Amgraf software can be used to create electronic forms and e-commerce web sites. Please contact Amgraf to receive a login ID and Password if you would like to test our Forms Portal and ReadyClickMail™ solutions. 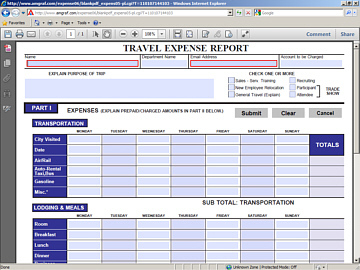 This demonstration shows how paper forms work when they are converted to fillable database-connected HTML forms. Click the image to the right to open a new blank HTML e-form. You can then fill it out, submit it to the server, e-mail it to a friend, and recall and update it later. This demonstration shows how paper forms work when they are converted to fillable database-connected PDF forms. Click the image to the right to open a new blank PDF e-form. You can then fill it out, submit it to the server, e-mail it to a friend, and recall and update it later. This demonstration shows how paper forms that have been translated into International Languages work when they are converted to fillable database-connected HTML forms. 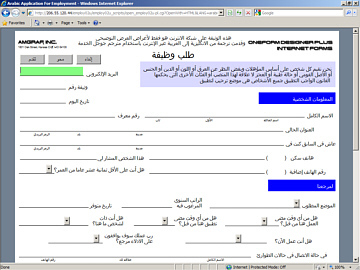 Click the image to the right to open a new blank HTML e-form that is in Arabic. You can then fill it out, submit it to the server, e-mail it to a friend, and recall and update it later. The same e-form is also available in English, Spanish, Chinese, Bengali, Russian, and Hebrew. 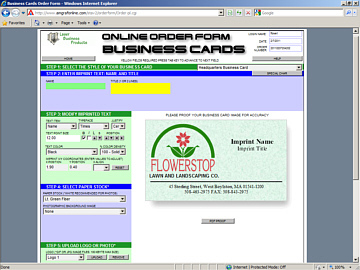 This e-commerce demonstration shows how electronic forms can be deployed to help customers place orders for personalized imprinted documents. You can key in imprint information, change ink and paper colors, upload logos and photos, generate a real-time proof, and put the demo order into a simulated shopping cart. This demonstration shows that the collection of data can be simultaneously and independently submitted to four separate reference data tables. We encourage multiple users to go through the demonstration simultaneously so that you will experience the real-time nature of our data collection technology. The information collected from the four E-forms (called I-forms here) is instantly available to the imaginary Product Manager through drop-down list choices on the Product Specification E-form. The Product Manager can then review the selections and save combinations of submitted Names, Colors, Cities, and Prices into the Products data table for presentation on the Suggested Products E-form.